Audi has revealed details of a new RS4 Avant, ahead of a full premiere at the Geneva Motor Show in March. The German firm’s all-new rapid load-lugger gets a naturally aspirated 4.2-litre V8 engine. Producing 444bhp and 430Nm of pulling power, it will complete the 0-62mph sprint in just 4.7 seconds. It also gets the manufacturer’s excellent seven-speed S tronic automatic gearbox with steering-wheel mounted paddles. Of course, such power means a sacrifice when it comes to running costs. The RS4 Avant is claimed to be capable of averaging 25.7mpg, according to Audi, making it pricey at the pumps. There are no details on emission figures yet, but you can expect high road tax cost too. However, put the running costs to one side and this car offers an excellent mix of performance and cargo capacity. Audi is being a little coy at the moment with some of the details, including the bootspace with rear seats in place. What we do know, however, is that if you lower the rear seats you'll have access to 1,430 litres of space. That’s a substantial 70 litre less than its main rival, the Mercedes-Benz C-Class 63 AMG Estate. 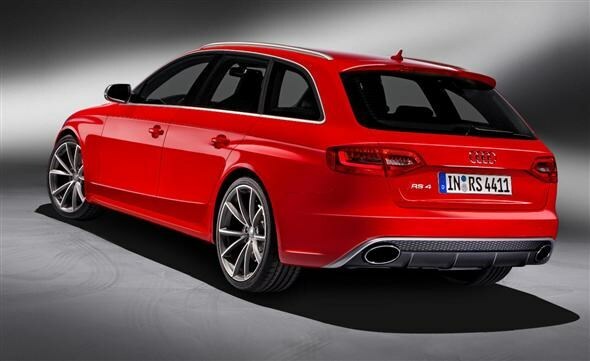 The RS4 gets the usual design detailing of the brand’s more performance orientated models. This includes some flared arches and air intakes placed around different parts of the exterior. It also gets a twin oval exhaust pipe and roof spoiler for the rear. Inside the car is the usual flat-bottomed steering wheel, adorned with the RS4 badge, along with some sports seats. The RS4 badges are splattered around various other parts of the car, including on the door sill trims. 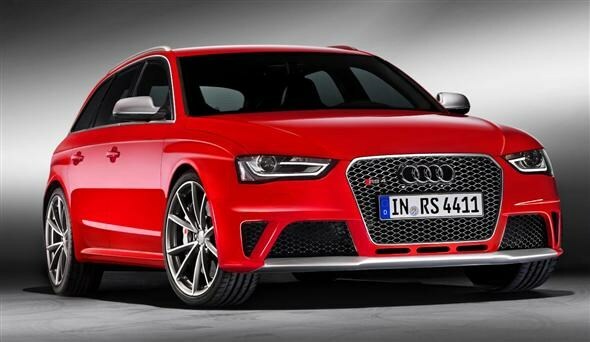 The RS4 is set to arrive in September with prices expected to start at around £60,000. It will go up against the C-Class 63 AMG Estate which currently starts at £56,765.